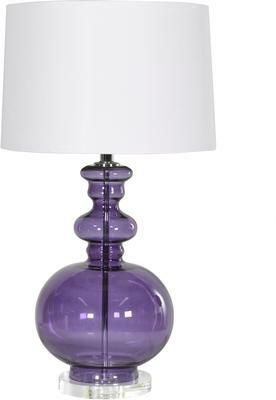 This gorgeous Blue Glass Table Lamp echoes a chic design and a beautiful shade. Perfect for the living room or bedroom, the lamp is made according to factory standards. Each piece comes with a blue curvy base. The blue shade can give your room a nice, pop of colour. Meanwhile, the lampshade comes in a white shade which allows the blue to stand out even more. Add this to your living room side table or maybe use it by your bedside. It's a modern lamp with an elegant flair.